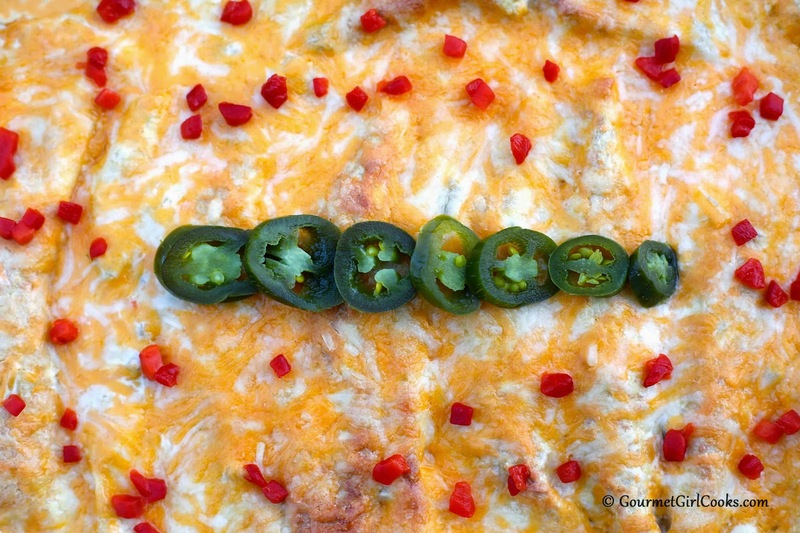 Gourmet Girl Cooks: Low Carb Chicken Enchilada Casserole - Guaranteed to Fool the Grain Eaters! 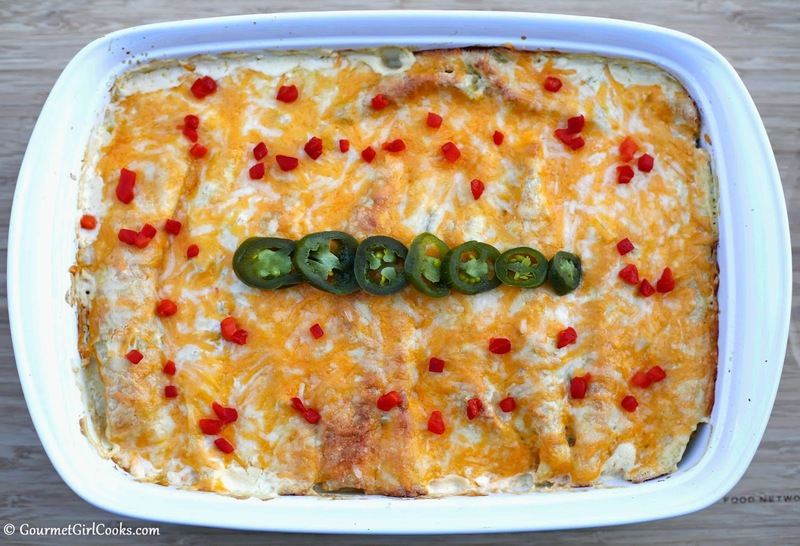 Low Carb Chicken Enchilada Casserole - Guaranteed to Fool the Grain Eaters! This evening my oldest son came for dinner and I made one of his favorites, my Chicken Enchilada Casserole. I swear you can't tell it's grain free at all whatsoever. I make my grain-free tortillas to fill with chicken and cheese and substitute cream cheese for the flour to thicken the sauce...it's nothing short of awesome! If you are looking for a recipe to feed your grain-eating friends and family...this is the one to make. I snapped a couple photos of this evening's casserole. I topped it with a few pickled jalapenos and pimentos after pulling it out of the oven for a little "heat and sweet" and also added some sauteed diced Poblano peppers inside the enchiladas. You can find the recipe here, along with some step by step photos, too: Chicken Enchilada Casserole. Enjoy! 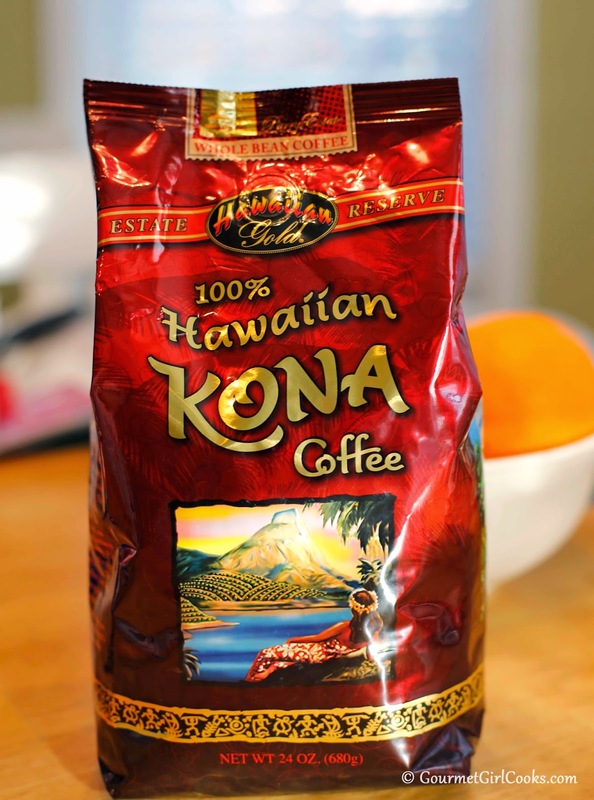 One of today's Costco finds...100% Kona Coffee! I've made this dish and it is awesome!! Ayla, I am planning on making this tomorrow for my hubby to take to the mountains. It is the perfect dish for reheating. I have tortilla maker ,but I think this grain free dough might be too thin for it.. Well , I will let you know how it turns out! Hi Ayla, so sorry that you are still under the weather! I am in a panic as I am making the sauce, it does not get thick, I have been stirring it for a long time. How thick is it supposed to be? Should I add a little Xanthem gum ? I lost a post again! Sorry to hear that you are not well yet! 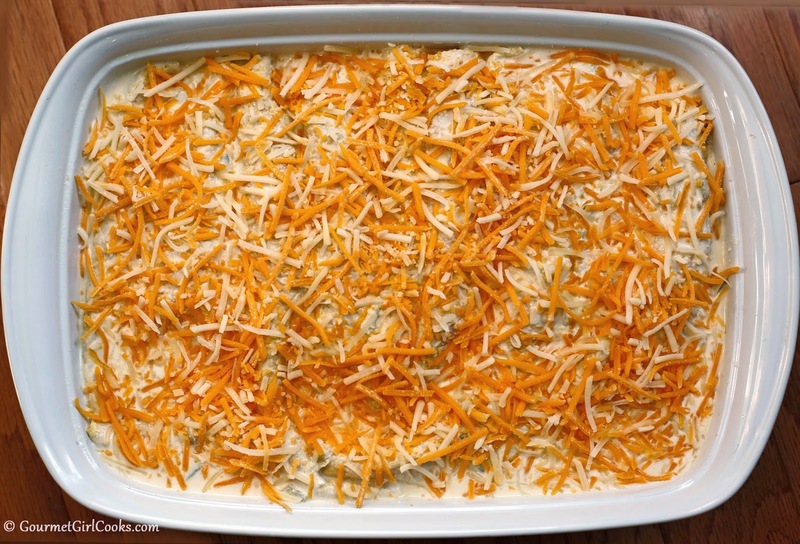 I can not render the cheese sauce to a thicker consistency, should I add more cream cheese or add some Xanthem gum? In the photo you seem to have used a combination of cheddar and Jack??? I hope that you can help as I have to finish the dish tonight. Thank you dear Ayla for answering so quickly, you are the sweetest Lady ! Just discovered that I have the wrong cheese , it is the spicy jack and my husband likes things rather bland, of course it is the opposite from me, why have it easy, lol. so off to the store I go. It looks as if you used some cheddar? Yes, you are correct. This time I used a combination of cheddar and jack. Sometimes I use "pepper-jack" cheese. Usually use what I have on hand. I, too, like it a little spicier but I enjoy it both ways. Sometimes I use Sargento's Mexican Style blend of shredded cheese as well. I hope your husband enjoys it. I am really sorry that you do no get enough rest. Ayla, this dish turned out so delicious ! I am so happy to have another wonderful make ahead dinner. I made a double batch of tortillas, I used my crepe pan.I had a few damaged tortillas; so I spread some sour cream on them and sprinkled some cinnamon and sweve on them.I poured a few teaspoons of *beurre noisette* over them. It was so good; I thought I was eating authentic crepes. My husband adores them; especially Crepe Suzette !Next time I will try some heated marmalade(low sugar) with Cointreau mixed in! I had omitted the spicy seasoning ; so I was able to do it. Thank you so much! Be well soon. I heard that eating dark chocolate is more helpful than cough medicine! I'm so happy this turned out well for you and that you enjoyed them! Sounds like you made "perfect use" of the damaged tortillas and it sounds delicious. I have filled the enchiladas with just chicken and cheese and also added sautéed peppers, onions, etc. along with the chicken and cheese. You can change them up a bit as you like. Real Low Carb Chinese Take-Out - My Way! Chicken Stir-Fry - Low Carb "Take-in"